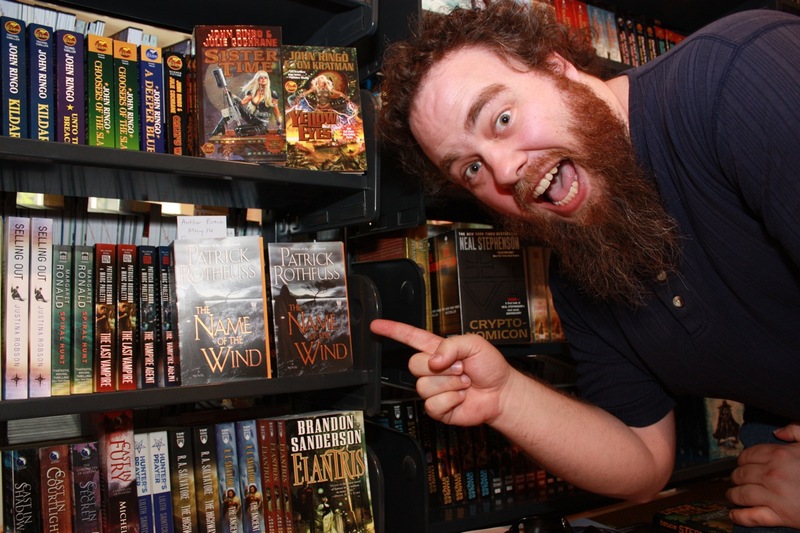 It has been announced that New Regency Productions and Fox Television have optioned the TV rights to Patrick Rothfuss's novel, The Name of the Wind. If successful, the series would also adapt the other two books in The Kingkiller Chronicle trilogy, The Wise Man's Fear and the forthcoming The Doors of Stone. Eric Heisserer will be writing the script. Heisserer's previous credits include Final Destination 5 and the unnecessary prequel to The Thing, as well as the reboot of A Nightmare on Elm Street. There is no word on what network or channel this will air on yet. It's also only an option. A script will need to be written and then greenlit before it moves into production. Given Rothfuss's well-known love of the works of Joss Whedon, which have had 'problems' with Fox in the past, it is surprising that he's agreed to sell the rights to them. Some have suggested that Fox may be intending this project for their FX channel (which is more forgiving of low ratings and usually givest its shows a fairer shake than Fox itself), though that is pure speculation. It will also be interesting to see how the story is translated to TV. Most of the story is from Kvothe's POV, and in fact there are strong hints that Kvothe is colouring his story for his own ends. How this would be translated onto screen remains to be seen. Rothfuss recently said that The Doors of Stone should be published some time in 2014. Well the writer they picked doesn't sound promising. Hopefully they will aim the quality more at Game of Thrones style rather than the traditional crappy job they do. This could be fantastic or it could be a complete disappointment. I just hope they let it be what it needs to be. That probably means FX, and three solid seasons. No more, no less. No need to unnecessarily add filler. I'm tentatively excited, though. The music will be the hard part. Well, what's bad in writing might make at least some not entirely wasted TV. But I won't hold my breath. It's just not that good. I agree with Unknown on it being hard. The Kingkiller Chronicle will NOT be easy to convert to film or TV. Let's hope for the best.